Our newest addition has it all. It’s a bounce house, a slide, and an obstacle course. This is the ultimate inflatable for a children’s birthday party. This kid friendly inflatable has a little bit of everything. If it seems like the Wacky World Combo is the perfect blow up bounce house rental, there’s probably a good reason. Almost every children’s event like church picnics, company picnics, family reunions, and more will love it. Why? Because it has two giant inflatable slides, an obstacle course, and a bounce house all in one. 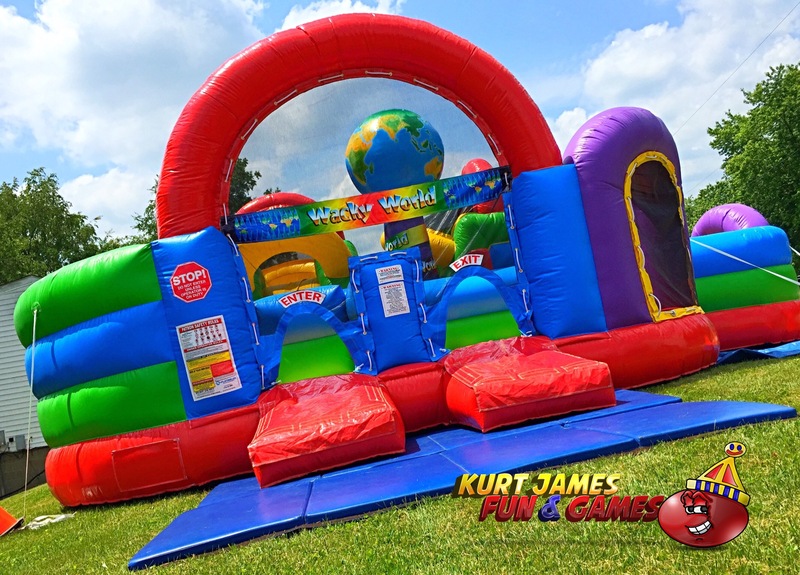 Be the first to review “Wacky World Kids Combo – Bounce House, Obstacle Course, Slide” Click here to cancel reply.